More of these guys in Virginia… thanks to global warming. There are multiple levels to the debate about global warming. The foundation level involves understanding the forces driving climate change, in particular, the extent to which rising temperatures over the past century can be explained by rising levels of CO2 in the atmosphere and to what extent they might be attributable to other factors not yet well understood. Embedded in this debate are projections of how precipitously temperatures will rise in the future. Layered over the causes-of-climate-change debate is the effects-of-climate change debate. What impact will climate change have on the environment and mankind? The prevailing sentiment is that effect of rising temperatures will be universally baleful — there are no redeeming attributes worth discussing and, therefore, something must be done. Have you noticed that Virginia summers have gotten hotter and stickier? Does it seem like allergy season is more intense? Is your home flooding more often than it used to? It’s not your imagination. Climate change is altering seasonal patterns, making our summers hotter, and fueling increased flooding from coastal storms, like Hurricane Sandy in 2012. As a result, we face more heat-related illnesses, air quality issues, food and water contamination, traumatic injuries, threats to our mental health, and infectious diseases. These threats will only get worse as big polluters continue to pump carbon from coal, oil, and natural gas into the air. Extreme heat is bad for Virginians’ health — and could become more deadly. Coastal floods are getting worse — and could disrupt emergency health services. Climate change could contaminate Virginia’s drinking water. Rising temperatures could make Virginia’s seafood dangerous to eat. Climate change puts Virginia’s progress toward cleaner skies at risk. Allergy seasons are getting longer and more severe. Mosquito- and tick-borne infections are increasing. I am confident that some of these concerns are legitimate; as for the others, I don’t know. Sea levels are rising, and Hampton Roads is increasingly vulnerable to flooding. Rising water tables in coastal areas could well increase the infiltration of salt water in wells. Warmer waters could well promote the spread of vibriosis, a bacteria that can infect seafood and cause food poisoning in humans. NRDC is not making this stuff up. But the Council is looking at just one side of the ledger. Cold kills. The flip side of more extreme heat days is fewer extreme cold days. As it happens, cold kills a lot more people than heat does. According to a 2014 National Health Statistics Report, “During 2006–2010, about 2,000 U.S. residents died each year from weather-related causes of death. About 31% of these deaths were attributed to exposure to excessive natural heat, heat stroke, sun stroke, or all; 63% were attributed to exposure to excessive natural cold, hypothermia, or both.” In other words, cold kills twice as many people as heat in the U.S. Cold viruses thrive in colder temperatures. Studies have found that rhinoviruses thrive in a slight chill, reproducing more quickly at 91.4° F than at normal body temperature. Lower temperatures in the nose also stifle the production of the body’s anti-immunity agents. In the words of Yale immunologist Akiko Iwasaki, “these temperature effects can result in an 100-fold difference in the level of cold virus” — enough to turn an asymptomatic viral population into a full-fledged cold. If I wanted to draw the same kind of health connections as the NRDC, I would argue that pneumonia is a leading killer of the elderly, that pneumonia often results as a complication of catching a cold, and that a warmer climate could reduce the incidence of colds, pneumonia and hospitalization of the elderly. CO2 promotes plant growth. The NRDC paper notes, “The carbon dioxide driving climate change is also stimulating plant growth,” but sees that as a bad thing! Apparently, plant growth boosts pollen pollution and makes allergies worse. But there’s a plus side to plant growth. A higher CO2 level helps crops and trees grow faster and makes them more drought resistant. CO2 could be a boon to Virginia’s agricultural and forestry productivity. It could mean cheaper locally growth foods and vegetables and better nutrition for all Virginians, including, of course, the poor. If the only thing you look for are negative effects, then negative effects are all you will find. Years of climate-change research have focused exclusively on the negatives. No scientist wins research grants to study a positive benefit of global warming. I don’t pretend to be able to answer whether warmer temperatures are a net positive or negative to mankind. I suspect that a truly dispassionate approach to the matter might well reveal that, while the effects of climate change are a mixed bag, the net result is negative — based mainly on the impact of the rising sea level. But that’s only a hunch. We haven’t seen a dispassionate approach, so the answer at this time is unknowable. The NRDC is cherry picking data that fits its case. This particular paper can’t be taken seriously. What Virginia needs is a comprehensive and dispassionate look at the evidence. Gee, Jim, so I guess Steve Nash’s comprehensive book on climate change in Virginia was not believable either. It’s not a matter of being “believable” or “unbelievable.” From what I could tell, the NRDC information was accurate. It was just cherry picking data that fit its narrative. Would you contest that? The National Resources Defense Council (NRDC) is absolutely the last place one should look for reliable information on about any subject regarding the environment, a thoroughly unreliable group that spews extreme views. Hot and sticky summers in Virginia? Unheard of! Summers in VA were part of my life even when we lived elsewhere, and I see nothing in this paper that demonstrates or even indicates things are hotter now than they were in the 60s of my childhood. I’m not sure the statistical info that they point to means anything (look at all the blank counties). I look at the ozone map and see, uh, traffic and population growth maybe? Might the tick population be burgeoning because the deer population is doing well? It this is the best they’ve got, weak stuff. The greatest threat, and one that does concern me, is carbon buildup in the oceans. We ruin the oceans and that could actually be an extinction event. Yeah, I’m not buying it either. In fact…articles like this serve as blather fodder for the anti-enviros… which I classify as anyone who cannot name their “favorite” enviro group or they name some totally bogus group masquerading as an enviro group. But all these kinds of “reports” do is further gin up the “skeptics” who will then use the “report” to demonstrate how whacko the green-weenies are. We already have places on earth that have the climate – predicted for northern areas. Perhaps a REASONABLE “study” might be to compare health impacts from warmer weather bugs and diseases with the same impacts further north. For instance, are their more tick-related diseases in the equatorial locales than the more temperate locales. Geeze Steve.. that’s Grand Mal HERESEY for the skeptics! Just uttering that stuff freaks them out! I am shocked Jim they forgot to mention to Fire Ants making their way north from North Carolina to Virginia. Maybe that’ll get your attention. To me climate change in the USA is a political topic. I’ve worked with engineers for 40 years. They seem pretty much wedded to use of logic and the sciences underlying their engineering specialties. When presented with a simple problem, they tend to have simple explanations or solutions. But as the problems become more complex, so does their analysis and solutions (often partial solutions). Quite often they will point to multiple causes (even with a primary one identified). Most of the time, they will note that taking a particular course of action or solution will have other effects, sometimes negative in nature. I’ve found most engineers to be complex thinkers who often admit they don’t always have a complete explanation or solution. I tend to have high respect for the profession. Now that doesn’t mean everything done by climate scientists is wrong or that we should not move to renewable energy. Most published scientists, including Climate Scientists _are_ credentialed and much more so than the so-called skeptics and critics. No principled scientist will ever claim that their research is the truth from on high. You can clearly see this in most fields whether it be cancer or predicting the path of hurricanes. The funny thing here is that no one seems to claim that the scientists who predict hurricanes are lying SOBs or engaged in some kind of a conspiracy because they got the path of the hurricanes “wrong”. But that’s EXACTLY how Science generally works. It’s not about absolute proove, never was, never will be … always about what _could” be – and if others doing research can replicate it or not. In today’s skeptics world – “replication” is “conspiracy” – the more other scientists replicate the bigger the conspiracy. Even when it comes to something simple like how many people _are_ affected by pollution from Coal plants – the skeptics, as usual, don’t believe there are impacts and that instead there is a “war on coal”. Yep… folks just want to close coal plants for no reason at all..
Come on …. I’ll admit that the green groups do trump (pun not intended) up their message..no question.. but the skeptics are just as bad and worse!!! We might as well be a bunch of Luddites the way some are these days. Yawn. The usual appeal to authority that ignores the issues raised in the post. However, we’re talking about issues that are NOT covered by the claim that 97% of all climate scientists believe… So the appeal to authority doesn’t even work. Even a non-trial lawyer like me could rip up many of the “experts” on cross examination with a little help from other experts. I’d start with the scientific literature from the 1970s that was predicting a new mini-ice age. I’d venture into historic cold and warm periods in human history and investigate the various allegations that data has been altered or adjusted. (There are significant allegations, backed with studies, that NASA and NOAA have altered data even though the WaPo won’t report on it. We probably do a bit on sun spot activity. And if you got a couple of real trial lawyers, we’d have a record that shows the certainty is a lot less than is presented. People getting paid by the federal government to find X, Y or Z generally find lots of X, Y & Z. This is not to say there is no human impact on climate. But aggressive claims of warming fit well with the political and economic goals of many. The Deep State needs global warming to exist. I’d like to know what the real story is. 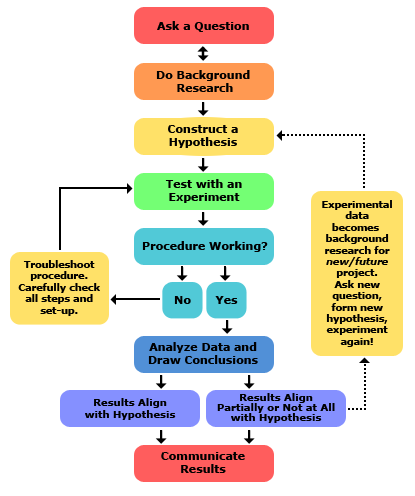 I like the efforts to explain the scientific method and see results through that lens. However, it is a fact that powerful companies have deliberately created doubt about climate change and environmental regulation in general, unwilling to include costs in their prices and resulting in a politicization of environmental laws. Here is a lovely letter .. updating us on the earth issues we are not addressing. Check it out. “Potentially catastrophic” combined with the stats of the deteriorating condition of the earth’s resources sound like good enough reasons from these capable scientists to require action on our part. “Twenty-five years ago, the Union of Concerned Scientists and more than 1700 independent scientists, including the majority of living Nobel laureates in the sciences, penned the 1992 “World Scientists’ Warning to Humanity” (see supplemental file S1). Yesterday, the National Association of Scholars (NAS) released an authoritative study on how unsound science now leads to unsound policy, a subject we that too have touched on numerous times on this website. WASHINGTON, D.C.—On Tuesday, April 17, the National Association of Scholars (NAS) released its newest report, The Irreproducibility Crisis of Modern Science: Causes, Consequences, and the Road to Reform by David Randall and Christopher Welser. The launch event took place yesterday at the Rayburn House Office Building in Washington, D.C. The irreproducibility crisis, also known as the replication crisis, imperils the credibility of scientific research and makes it imperative to re-examine the public policy that relies on that research. NAS highlights examples such as the 2012 effort by researchers at Amgen to reproduce 53 “landmark” studies in hematology and oncology, which replicated only six. The report found that sources of irreproducibility include flawed statistics, faulty data, deliberate exclusion of data, hypothesizing after the fact, researcher freedom to adjust research parameters mid-experiment, political groupthink, and a professional culture that encourages publishing only positive results. 3/ passing a Reproducible Science Reform Act to require that all new science regulations be founded on research that meets strict reproducibility standards. NAS aims to bring the reproducibility crisis to the forefront of public awareness and encourages scientists and lawmakers to use the recommendations outlined in the report as a framework for drafting long-term solutions to the reproducibility crisis. The corruption of scientific research, especially at universities, has recently grown dramatically, including outright fraud. For example, unsubstantiated concerns that microplastic particles might pollute the environment caused the US to ban plastic microbeads in peoples’ health care products. The British Parliament was holding hearings on similar restrictions in Britain when two researchers at Uppsala University in June 2016 published their own scientific research study claiming to prove that microplastic particles in worlds oceans endangered fish. The findings set off worldwide fears of a looming environmental catastrophe. And the two researchers gained instant celebrity. The university then appointed a special board to get to the bottom of what was the misconduct. In December, 2017, the board found that one researcher intentionally fabricated her data on which the study’s finding were based, and the study’s senior researcher had failed to check to insure that research claimed to have been done was in fact performed. In fact, the claimed research that was supposed to unpin the study was never done. Unfortunately, this sort of fraud far too often is not punished and corrected. Far too often it is overlooked or ignored, an unfortunate fact that has being going on for as long people have been involved in science. For example, the winter 2017 issue of Academic Questions details the knowingly false claims made by the Nobel physics prize winner Herman J. Mullers, during his Nobel acceptance speech claiming that “linear no-threshold” (LNT) doses of radiation harms health. This intentional fraud still underpins much of the US Government regulation of nuclear energy, costing us $billions of wasted public monies, despite the fact that the fraud underlying these costs is widely known. Such fraud is only the tip of an iceberg whose great bulk of corruption is now spreading wide and deep under the surface of science worldwide, thanks in part to the internet. The three big reasons this concern is getting renewed attention are cheating and subjectivity. Specifically: (1) deliberate manipulation or fabrication of experimental data, either to “prove” an hypothesis the experimenter was already convinced had to be correct, or, to win acclaim or promotion or grant money fraudulently, or, to get published first, to claim publication priority and/or for patent purposes. (2) studies in the “soft” sciences, like psychology and sociology and political science, often involve questions/tasks and interpretation of results that are especially colored by the experimenter’s subjective bias. But these are not new problems; rather, they are receiving some overdue attention from the scientific community due to the sheer number of doctoral candidates and professional papers, and recent abuses in the research grant award process, the peer review publication process, and faculty advancement process. In short, it’s bureaucracy at work! So, Reed, I agree with you, “Unfortunately, this sort of fraud far too often is not punished and corrected. Far too often it is overlooked or ignored, an unfortunate fact that has being going on for as long people have been involved in science.” But I think it’s receiving renewed attention as a consequence of the high volume of science activity out there today, most of it healthy and good. And because of the non-scientific but very human consequences for those who cheat the system: both those who get away with it and those who get caught. The *two big reasons . . . . Instead, I suggest that far too often in areas that are politicized, we typically find that the corrupted research overwhelms and forces out the good research. And that far too often this demand for dominance by one pre-approved view or opinion that is enforced quite intentionally by the zealots in the group, aided by the normal play of group dynamics. This tyranny of politics in the sciences and arts has now destroyed whole departments in the liberal arts. And it has done the same in much of the “softer” sciences. On the other hand, and perhaps what you are also aiming at, there is a likelihood that much of this bad science is driven not be fraudulent intent on the part of most, but by a combination of less malevolent factors, such as general incompetence and bad habits and the concurrent loss of requisite skills and standards by reason of so many players living in an echo chamber that demands and rewards conformity, while its punishes anyone operating outside of established dogma or the lines of enforced group think. Thus corruption feeds on itself like a cancer until killing the host. Here is some pretty convincing evidence of atmospheric CO2 … We are making a mess! Evidence matters. All the talk of individual cheaters in science doesn’t get at the bigger problem. For that you have to follow the money. The comprehensive data include (in this paper) all individual and organizational actors in the climate change counter movement (164 organizations), as well as all written and verbal texts produced by this network between 1993–2013 (40,785 texts, more than 39 million words). Two main findings emerge. First, that organizations with corporate funding were more likely to have written and disseminated texts meant to polarize the climate change issue. Second, and more importantly, that corporate funding influences the actual thematic content of these polarization efforts, and the discursive prevalence of that thematic content over time. Not so much scientists cheating as corporate power shouting in a very big voice. As to your first paragraph, if true, what does it mean? As to your second and third paragraphs, if you define the word corporate to include governments, educational institutions, research institutions, and special interests of any and all kinds, including any and all parts and individuals comprising them, I would agree with the thrust of your statement except that the motivating forces at work here are far more numerous and complex that just “following the money” alone. Here of course we have all the complexity of human nature and the human psyche (including 7 deadly sins among endless others) busily at work. As to somebody’s analysis of “the comprehensive data include (in this paper) all individual and organizational actors in the climate change counter movement (164 organizations), as well as all written and verbal texts, yada, yada yada – I don’t believe a word of it. From the “Bureaucrat’s Bible”: It is damnable but true that in almost any endeavor of the mind, the fastest way to get ahead is to rise upon the backs of those who have the intelligence and the willingness to innovate by sticking their necks out. Someone who has stuck out his neck is looking down, not up; he will not expect betrayal from above; he will not see it coming. If you are above him in the hierarchy and his innovation builds on past opinions (particularly if yours), you can take a good chunk of the credit for yourself. If he is wrong, you can blame him and walk away. But if he has followed your lead and got nowhere (except perhaps into a dead end), you must applaud his willingness to explore new implications while remaining true to the rightness of his orthodoxy, for your star rises with his. Great Bible quote, Acbar. But does not the last case you quote force some mentors to confront the reality that they have spent their professional lives, or a significant part of it, climbing the wrong ladder? What’s it mean? Well it seems like pretty good evidence that the levels of CO2 and methane in the atmosphere and the temperature on the earth are very consistent over an enormous amount of time. Evidence matters for good conclusions. I am talking about the power of money from the fossil fuel companies to create the doubt that has prevented concerted action by us to clean up our atmosphere. They are the current prime examples of deliberate distortion of the truth for corporate profits. Other examples abound concerning the conflicts between the earth and corporate profits. I am not sure why you don’t believe the paper I cited… Do you have a cogent argument to back up your statement that you “don’t believe a word of it”? You raise interesting questions. I will get back with a bit more detail, but for now have combined and also expanded on a few of my earlier posts here. Lets return of Lyndon Johnson’s allegation that Barry Goldwater, if elected in 1964, would destroy the world. LBJ’s Sept. 7, 1964 presidential campaign TV spot featured a two-year old child in a summer meadow of flowers as she slowly picks pedals off a flower while trying to learn her numbers: how to count to 10, when an alien male voice interrupts her. The disembodied male voice counts backward from 10 to 1 and camera zooms in on “cute little Norman Rockwell freckled-face” looking skyward. When the visitors arrived on time and no university officials were there to meet them, the group waited. Soon, still waiting, people in the group begin to argue among themselves about what was happening, the fact they had been invited to come, but no university people had showed up, and nothing was happening as they waited. Still waiting some more, and with ever more arguing, the group broke into two camps. Debates ensued and leaders of each camp emerged. Disputes spread to past grievances with the university and among the two groups. Quarrels erupted. A few said the meeting was becoming useful now if only those in the two groups “have it out once and for all.” Scuffles began, first among the younger men. At this point the University psychologists arrived to put a halt to the proceeding and announce that their experiment was finished, having accomplished it’s goal of showing the tendency of the human mind to see things in pairs – either/;or – black/white – we/you – good/bad – the forces of good/the forces of evil. And it showed how humans tend toward conflict that is magnified when they act in groups, so much so that they often splinter into more groups, if only to oppose one another. Thus apparently, for any group to succeed, and for leaders to emerge and achieve control or dominance of the group (so as to direct its actions), the group needs at least one enemy. Thus groups often fight about non-existent or artificially made up or inflamed differences, just to keep the group going. This is common as mud. It’s how football games and wars happen and are won, along with much else in human society. To quote Doris Lessing: “The business of seeing ourselves in the right, others in the wrong; our cause as right, theirs as wrong; our ideas as correct, theirs as nonsense, if not downright evil … Well, in our sober moments, our human moments, the times when we think, reflect, and allow our rational minds to dominate us, we all of us suspect that this “I am right, your are wrong” is, quite simply, nonsense.” See Doris Lessing, Prisons We Choose to Live Inside, published 2013. Reinhold Niebuhr also brilliantly elaborates on such group behavior. He suggests that this strident group behavior where powerful psychological forces render people irrational, putting them in highly agitated emotional states that blind them to reality, can never be fully neutralized. He suggests that individuals in groups could only enlightened by character driven leaders who mitigate their blindness. A sterling example of this is Lincoln, his appeal to his constituents “better angels.” And how he most always sought their better good, not his own selfless interests. Even today many of Lyndon Johnson’s presidential staff fail to see or amid to President Johnson’s many character flaws, a testament to a group’s power over the people working within it. “Individual men may be moral in the sense that they are able to consider interests other than their own in determining problems of conduct, and are capable, on occasion, of preferring the advantages of others to their own. As individuals they are endowed by nature with a measure of sympathy and consideration for their kind, the breath of which may be extended by an astute pedagogy. As individuals their rational faculty prompts them to a sense of justice which educational discipline may refine and purge of egoistic elements until they are able to view a social situation in which their own interests are involved with a fair measure of objectively. Here it’s useful to review briefly Reinhold Niebuhr’s reputation according those who knew him, worked with him or studied his work. So here we get into the realm not of logic but of human nature. And most particularly into the world of human nature operating in group dynamics, where, among others, the central idea is that, as an organization matures, it invariable drifts away from its original mission, the one proclaimed by its founders. Now the preservation and expansion of the power of the group becomes the group’s central mission. Now too that power tends to devolve into ever fewer hands within the group, as it focuses on the private interests of those few leaders. Thus organizations twist their original mission into one that pursues the self-interests and obsessions of the groups most powerful factions and network around those leaders, whether inside or outside of the group. Meanwhile, the group maintains the disguise that it is working in the public interest per its original charter. For example, public universities no longer serve students. Instead, they serve the private interests of their most powerful factions, and those outside of the university with the most influence on the university – powers within the state, the federal government, business interests, rating agencies, and those who generate revenue and status for those in power, irrespective of the universities profit and loss statement. 2/ thus too the related impulses of human nature, such as the dynamics of group hysteria, group think, and group obsessive compulsive behavior combine with the tendency toward flagrant group and individual irresponsibility in all of its many variant forms, such as the false sense that no one is in control, or no one feels in control, or no one is responsible, and/or no one feels they can afford to stop what they are doing, because the pain of stopping seems far worse and more hopeless, than the risk of going on. Or that those abrogating their responsibility can avoid paying the piper and slip away untouched by the consequences of failure. These are versions of everybody keeping their head in the sand, hoping for the best while afraid to confront or consider the worse, while others with nothing to lose keep the bonfires ablaze. These forces within group dynamics are ubiquitous. We see this when real estate developers can’t stop building new speculative buildings, so can’t stop borrowing money and lenders can’t or won’t stop lending it to them, because everyone fears getting off the merry go round as their revenues will stop and the system will collapse of its own weight. This too we have discussed at length on this blog as these Merry-go-Rounds on average collapse nationally about once every ten years or so in this country. As, as regards today’s system of scientific research, the systems on place breed corruption within all who play a part in the system, whether they be an individual, a group, an institution, a culture or society at large. WOW. It has been a very long time since Niebuhr but I must say I did not come away with such a jaded view of people and their interactions. Sorry to hear your expectations of human interactions are so bleak. The results are published and subjected to inquiry and subsequent replication from others also with academic credentials – as opposed to fools with no credentials who basically look for errors and inconsistencies – as opposed to them developing their OWN thesis that are then subjected to further scientific inquiry. Nope.. their “science” is to challenge existing science .. and that’s it. Legitimate science and endless repetitive scientific inquiry – IS the reason why we KNOW that things like mercury IS bad for living organisms… why cigarettes are bad for us… why ozone holes are bad for us AND why – despite the best scientists in the world – there is no single highly accurate computer model for hurricanes, tornadoes, even rain and storm events, etc. But NONE of these are the 100% TRUTH from on high. They are all suppositions … of which there is varying degrees of substantiation – with some who still disagree… It’s the concurrence of the majority on the predominance of the evidence. Weather is notoriously hard to predict but the simple and plain facts are – we are, in fact, MUCH BETTER at it than ever before – as a direct result of the SCIENCE! We STILL get it wrong.. but we get much more right than ever before. Just knowing the APPROXIMATE path of a hurricane can AND save lives and money. Normally this is no fear and recrimination when hurricanes veer off predicted paths.. No attacks on Science.. no claims of conspiracy… etc.. just the simple recognition that science is not 100% proof of anything.. it is “our best estimates” instead. The only “appeal to authority” is an appeal to some basic common sense that recognizes what science is – and is not – for ALL fields – not just one. With Climate Science – because we’re talking about the fate of the planet and all of us, it’s sorta like claiming that your Doc ..when he tells you that you are 20 lbs overweight or worse, have cancer…. that it’s an “appeal to authority” or when Science tells us that polio vaccines actually do work that it’s not only an “Appeal to Authority” – it’s a conspiracy because most Doctors also agree with that logic! And yes indeed.. there are those who say that Vaccines ARE a “conspiracy” also!! Having a STEM degree helps but still some scientists will tend to pursue outcomes along the lines of their personal opinions. The whole area of policy to deal with climate change – which American liberals favor immediate elimination of the U.S fossil fuel industry as the sure cure- is pretty much politics. The NRDC “cherry-picked” its data? I. Am. Shocked. Of course there are benefits from climate change: in agricultural relocation, in trans-arctic shipping, in increased rain in some dry areas. Simplistic scaremongering like the NRDC specializes in does not help; indeed it steals the spotlight and diminishes the credibility of those climate scientists whose very respectability comes from their care to limit what they say to what the evidence actually supports, not sensational, speculative what-ifs. It’s the difference between solid research-based science and snake-oil huckstering. So we don’t know all the answers, yet we should proceed to spend trillions of dollars on the assumption that the worst case scenario is our future? “I don’t have much respect for so-called climate scientists. Some have credentials, but many don’t seem to be qualified”: such skepticism is a logical and powerful response. The one thing we have known with certainty for quite a while now is that climate change is immensely complex, and that we are just scratching the surface in understanding the past “natural” changes revealed in the geologic record. So how can we presume to understand the tweaks around the edges that our man-made interference with the atmosphere is causing? 2. Not every effect has to have a cause we understand. Some of yesterday’s “dire forecasts” of effects are happening now, even if we don’t understand why. Some of yesterday’s derivative speculations, therefore, have now become fairly safe predictions — with predictable consequences for sea level, agriculture and energy consumption. Let’s look at those from the perspective of getting our local and State governments prepared — not, prepared for what might happen in 100 years but prepared for what is now fairly certain to happen in the next 20-30 years. That’s the planning horizon for infrastructure and land use planning, isn’t it?